When my wife was pregnant for 4 months, suddenly her feet blistered. Really, it's a dilemma for me and my wife. If my wife was not pregnant, then it is easy to buy chemical drugs to remove mildew on foot. However, I understand that providing chemical drugs can cause bad interference for the fetus. And also, the doctor said that some chemical drugs could cause birth defects in an infant. Yes, it could be dangerous. I was afraid if it happens to our babies. However, if not treated immediately, then I'm afraid it will get worse. When I asked to the dermatologist, it looks like my wife being affected by allergies. Because it is the first pregnancy, we have a lot to look for references and also read a lot of books dealing with fungal skin during pregnancy. Even not rarely, my wife asked the friends and companions about the problems she face. 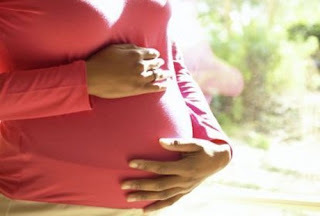 Indeed, we know that the problems faced by every pregnant woman is different. But not rarely from those who experienced the same problem. At that time, my wife stepped on the pregnancy 3 months. Suddenly, slowly but surely, my wife's feet started to itch and blistering. Initially, the blisters occur only with small size at the toes. However, over time the blisters begin to appear larger and wider at the soles of the feet. Really this is a big problem for my wife. She was grieved and hassles for doing any activity. Eventually, the foot condition is getting worse. Eventually, the foot condition is getting worse. Conditions of the foot, the more difficult be used for walking. So the condition, at the foot there is a kind of blisters that contain pus. The pus, which makes her legs become painful and hot. Our thought, this pus should be removed. If not, then we fear it would be rotting. But first we want to consult a dermatologist, just to make it more comfortable. Ever, at time in the early legs feel itchy, my wife gives fungal medicines in the foot. She was not aware that the fungal medicinal could be very dangerous for the fetus in her womb. Please note, that fungal medicine can be absorbed into the body and harm the health of the fetus. So the pregnant condition like this, as much as possible we should avoid taking chemical drugs. We must give priority to healing through herbal medicine. The drugs that are safe for health of the fetus. Finally after realizing this, the wife stop using chemical fungal medicinal. 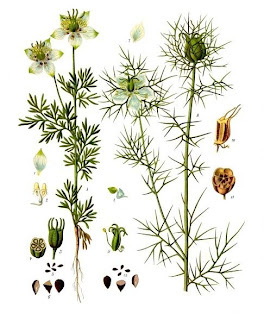 Up on one occasion, my older sister gave recommendation to treat using nigella sativa. This medicinal is in the form of oil. The way is, that medicine then applied to the foot. Initially it feels sore, but then it became more comfortable. Thank God, blisters on foot gradually began to dry up. Feet also began could be used for walking. For using this herbal medicine from 2 until 4 days, the blisters on the feet become dry up. To maintaining physical fitness, I get used to exercising regularly. I like most sports is soccer actually. However, this exercise can not be done every day. Requires a minimum of 11 other players to play it. But there is actually a much simpler exercise, which can be done everyday to maintain health and fitness. Walking does look like a trivial activity, but in fact it is a very healthy activity. When the early morning, we know the air is still very fresh, very good time to be used for walking around the house for a few minutes. Moreover, if there are many shady trees in the around, which will provide coolness atmosphere. The following are some of the benefits of walking are important for us to know. when we walk away, then some of the calories will be wasted. Excess calories will be burned, so as to increase the body's metabolism. So with this, the body weight will be more stable. 2. Avoid a Heart Attack. We know that the function of the heart is to pump blood around the body. Walking with haste will accelerate the flow of blood into the coronary heart. Then this will make the heart muscle of oxygen sufficiency are met. Heart muscle also can stay awake for quite a beat. Heart will be healthy. With regular walking activity, body weight will be maintained stable. By walking activity for a minimum of one hour, the excess blubber under the skin will be burned. Apparently, walking can relieve arthritic complaints, the knee is experienced by many people. Walking activities necessary to criss-cross, not every day. This is to give an opportunity to the joints and bones to recover. We know, as we grow older, the space between the joints will be more narrow. Layer of cartilage thinning. And joint space fluid, had shriveled. Joint condition that already as it is, needs to be maintained and protected so as not to shock the body weight by the weight of the load, especially in people who are obese. For patients who are still in the healing process, typically they are depressed. Then walk away with haste, be able to be a substitute for antidepressant medication should be taken regularly. Health is a treasure indeed priceless. Let us take care with healthy habits. In the previous posts have outlined that turns turmeric has considerable benefits for health. While in this article I want to discuss more specific health benefits of turmeric for women. In my country, turmeric is believed to be one of the drugs (herbs) that can be used for health, especially for women. Ingredients: 2 rhizome of turmeric, 1/2 tea spoon coriander, 1/2 tea spoon nutmeg, 1/2 handheld leaf srigading. How to make: all ingredients are finely ground and then boiled with 1 liter of water until boiling, then filtered. How to use: drink 1 cup a day. Please provide turmeric that has been peeled and washed thoroughly. Grated turmeric page, and then mixed with water. Let it settle and take the starch or sediment. In addition, also provide rice starch, then mix the starch with the saffron rice starch earlier. Next, apply evenly throughout the limbs. It's good when using this scrub is at night before bed and the next morning cleared scrub when showering. By nature turmeric can also be worn to treat the hair, in particular in order free hair dandruff. Dandruff is a scales who originated from materials keratin fatty that comes out from the scalp. If dandruff appears, the skin head feels very itchy. To overcome dandruff, please take turmeric, peel and wash and then crushed. Take the juice and rub it into the scalp with a massaged. Let the 3-5 hours until the sari of turmeric could seep. After that, wash hair and scalp until clean. Perform several times until dandruff is lost. This traditional recipe that might be worth trying. Turmeric rhizome of thumb, washed, peeled and sliced. Brewed with a glass of water and add 1 tablespoon sugar. Drinking water steeping saffron, and accompanied by eating fermented cassava. Do it every day on a regular basis until the acne disappear. Thus, little information about the benefits of turmeric for women. This information is a traditional recipe, can be trusted and tested, may not.